Nicoleta Ilie lived in Mia’s Children community for the past 11 years. Her family is poor and lives in the outskirts of Bucharest– they ‘barely survive’, she says– 10 brothers and sisters, both parents have been sick for a while, with little to no chance the situation will improve. Mia’s Children is a humanitarian organisation founded in 1998 in the United States, and three years later, in Romania. The founders are the Scarlat family and the Castle family. Ever since, Mia’s Children has a clear mission: Help Romanian children in difficulty build a better life, through a comprehensive educational care programme, away from poverty, abuse, abandon. Most of Mia’s children come from the Roma community. Daily, a large spectrum of activities, among which tutoring, counseling, educational and artistic activities, and much more, are ‘in progress’ for 35-40 children and youth, of different ages, from Mia’s care. 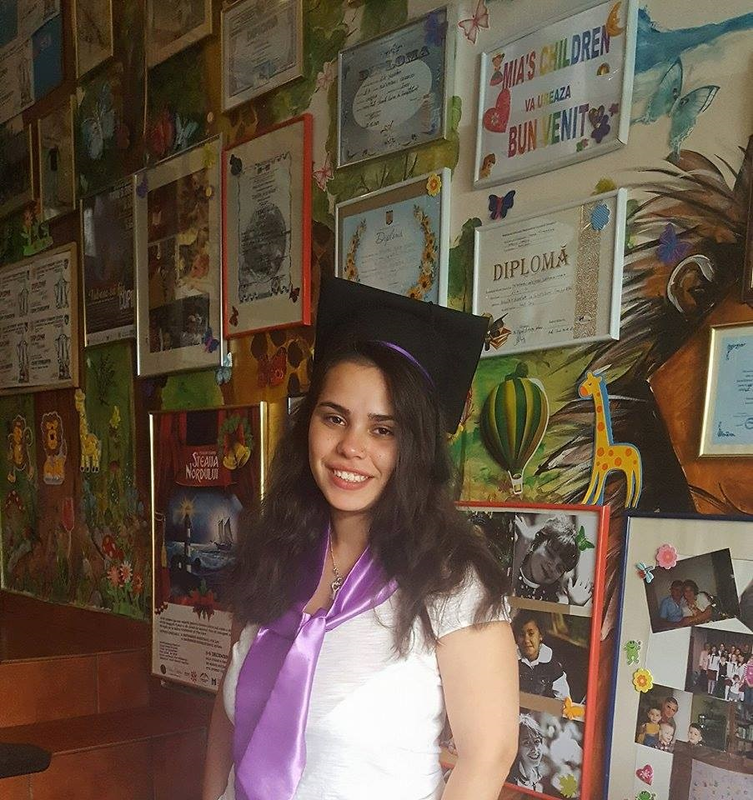 Despite the sad and difficult start– from 4 to 11 years of age, she was in the care of a state orphanage, then at Mia’s, where her life totally changed– now, she is a first year student at the Byzantine music section of the National University of music, in Bucharest. For eight years, Nicoleta sang in the Romanian Radio & Television Children Chorus, and for three years she took music theory lessons with specialized teachers. Giving her a chance, and preparing her to build the life she deserved, developing her existing skills and taking the right turn toward inclusion, trust and a good and dignified life. The first success?… When she joined the Children’s Chorus. … a wish?… To team up with people from her community, having the same aims and objectives. Raising the standards of trust, changing mentalities, contributing to the efforts of making discrimination against the Roma community disappear, enabling integration to find its way in every child’s life. “Do not give up!” is Nicoleta’s definition for fulfilment. Congratulations, Nicoleta Ilie, congratulations, Mia’s Children!